Mozilla Thunderbird is one of the most frequently used email client by people around the globe. When it comes to access the data in offline mode then Thunderbird proves to be very helpful. But sometimes, user want to export Mozilla address book to CSV or any other file format to import Thunderbird contacts in their phone or any other device, but they are not able to do this. Let us understand why Thunderbird address book export not working to vCard or any other file format. Moreover, in this post, we are going to introduce one of the trustworthy approaches to export Thunderbird address book MAB file to CSV format. Tool Tip: If you are looking for a quick and reliable solution to transfer Thunderbird contacts to CSV or any other file format then you can opt MAB Converter Software. 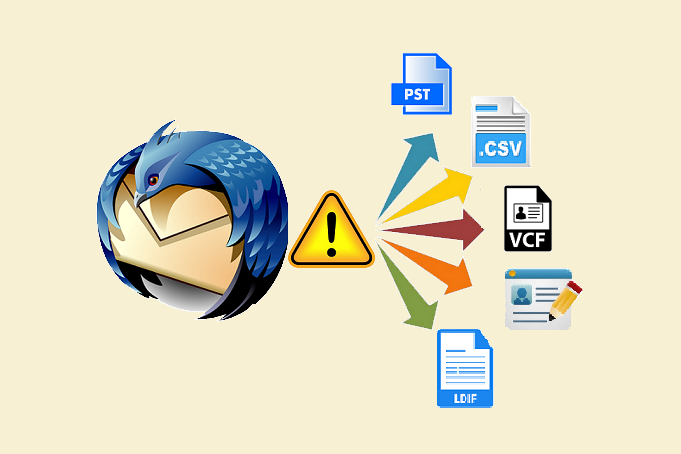 This amazing utility allows a user to export Mozilla Thunderbird Address Book to CSV VCF, PST, LDIF, and vCard formats in a hassle-free way. There can be multiple reasons due to which a user is not able to export address book to CSV format. Open Mozilla Thunderbird application >> Click on Address Book tab. You will get a window having contacts. Click on ‘All Address Book’ to export all the contacts >> Tools >> Export. If you don’t want to export all the contacts then click on Personal Address Book or Collected Address Book tab, as per your requirement. As ‘All Address Book’ is a collection of the entire Thunderbird contacts. Reason 2: Sometimes, due to corruption in the file a user is not able to export MAB file to CSV format. Now, after performing all these steps the user received CSV format file but it was empty. This can be due to the corruption of the file. A user can also face data loss issue if he/she is not able to perform the export process properly. In this case to eliminate the Thunderbird Address Book Export Not Working issue, faced by a user while exporting MAB to CSV, it is suggested to opt an experts approach that is MAB Converter Software. With this user-friendly utility, a user will be able to transfer Thunderbird Address Book to CSV, vCard, LDIF, PST, or VCF file formats in just a few clicks. Moreover, there is no risk of data loss associated with this tool.